James Joyce. Photograph: Gisele Freund. Radio Bloomsday brings together contemporary world class international artists to make Joyce’s text new and accessible to modern audiences. Highlights from this years broadcast include Booker Prize winning novelist Anne Enright narrating the entire Calypso episode as Leopold Bloom starts his day with quintessential New York playwright and performer Wallace Shawn as Bloom. Paul Muldoon reads an excerpt from the Proteus episode. Actor John Lithgow, who was a regular on WBAI in the 1960s, performs the poetry of James Joyce as well as Charles Lamb’s version of the Ulysses legend, Joyce’s first encounter with the story while a student. 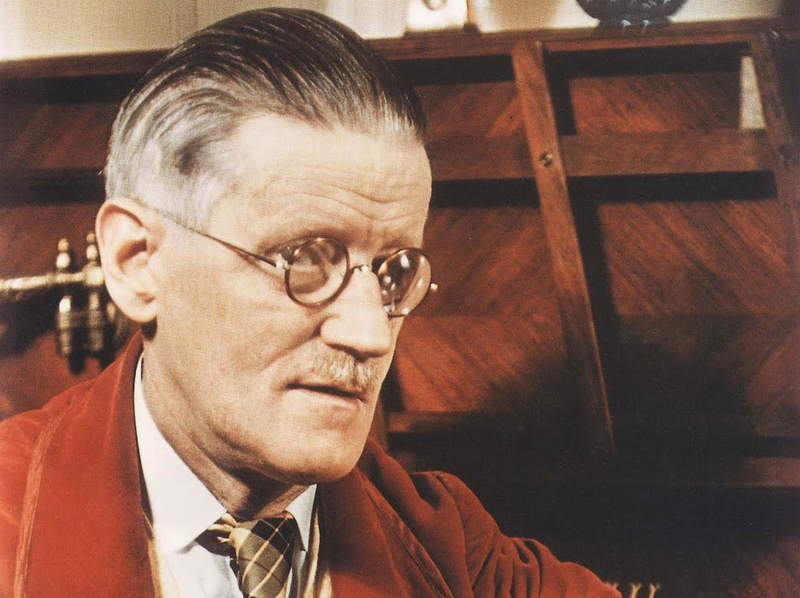 Our international broadcast features students from James Joyce’s alma mater, Belvedere College in Dublin, who will perform the Nestor episode in Ulysses depicting Stephen Dedalus teaching a group of students. In New York, Jim Fletcher (Gatz) performs John Milton’s Lycidas, the poem the students are studying in Nestor. In London, author Nick McDonell performs Stephen Dedalus in Wandering Rocks, as he thumbs through books in a second hand bookstore. In Los Angeles, actors Bob Odenkirk and Paul Dooley interrogate each other in the style of the Catholic Catechism performing an excerpt from the Ithaca episode. Comedian Marc Maron portrays a neurotic Leopold Bloom. The Dublin based instrumental group, Tarab, makes their American debut on Radio Bloomsday. Their original music fuses traditional Irish reels with modern Jazz. Actors perform an excerpt from Sheila Callaghan’s Dead City, her modern retelling of Ulysses set in present day New York and featuring a female Bloom named Samantha Blossom. The show will also include poetry by Joyce and works that inspired him by Charles Lamb, John Milton and his mentor WB Yeats. The show ends with a two and half hour live performance of the complete Molly Bloom episode, performed by Galway native Caraid O’Brien. Other actors in the program include Kate Valk, Marc Singer, John O’Callaghan, Conn Horgan, Marie-Louise Bowe, Aaron Beall, Shawnee Benton and many others. For the seventh year, Radio Bloomsday is directed by our Molly Bloom, Caraid O’Brien. Peabody award winner Larry Josephson, who has been broadcasting Ulysses on the Radio for 30 years is the producer. Janet Coleman is the Artistic Director.